Cook the chicken and bacon and cut into bite size pieces. Cook fusili pasta according to package instructions. Sauté the onion in the bacon grease. 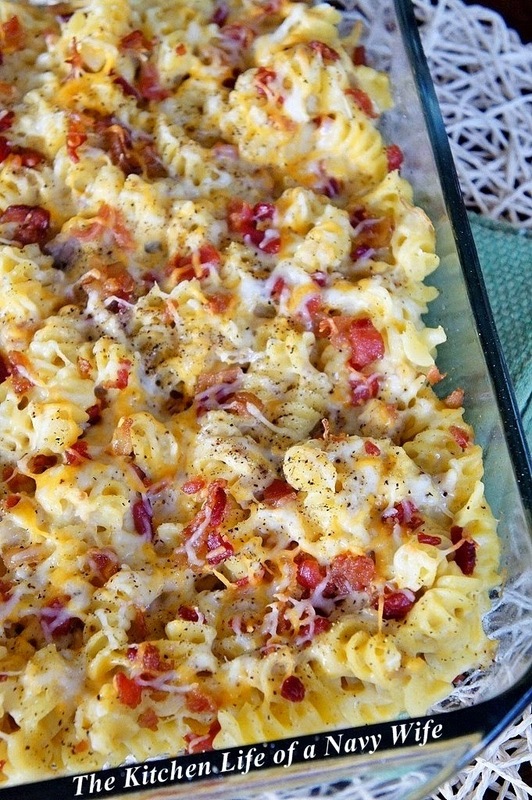 Mix chicken, bacon, Alfredo sauce, onion, and pasta together. Sprinkle chili powder on top. Cover with foil and bake at 350°F for about 30-40 minutes until hot.